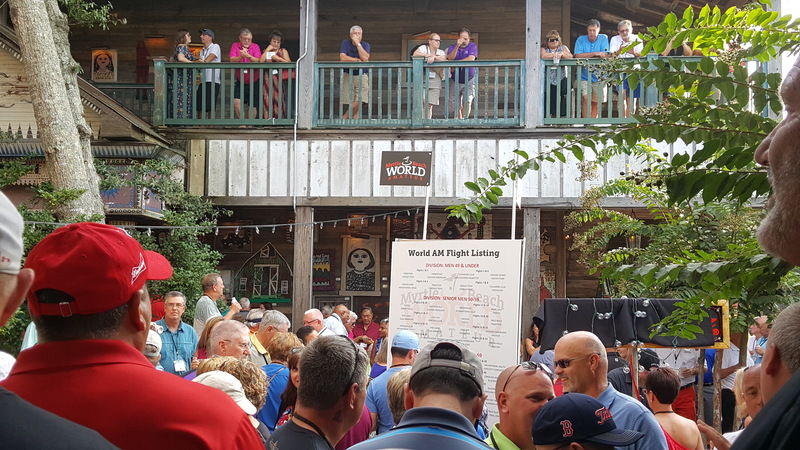 Golfers packed the rafters at the House of Blues for the World Amateur welcoming party. MYRTLE BEACH, South Carolina – For 50 years now Myrtle Beach has been one of America’s foremost golf meccas for one major reason. The owners of its nearly 90 courses know how to work together. That’ll be underscored shortly when Myrtle Beach Golf Holiday puts on the biggest tournament in golf – at least when it comes to the number of participants. 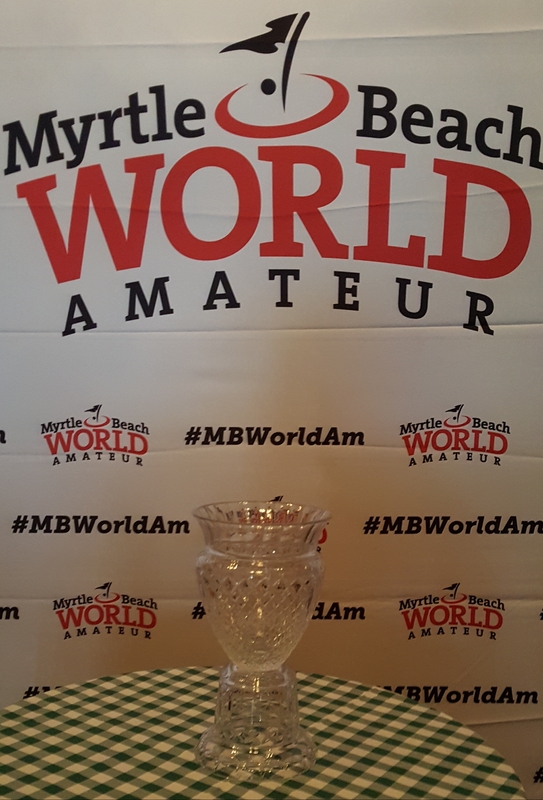 The 34th Myrtle Beach World Amateur Handicap Championship will begin its five-day run on Aug. 28 with over 3,200 players – and I’ll be one of them. Players from all 50 states and 30 countries will be among the participants. Fifty-five of the players are from Illinois and one most notable one is from just over the Illinois line. 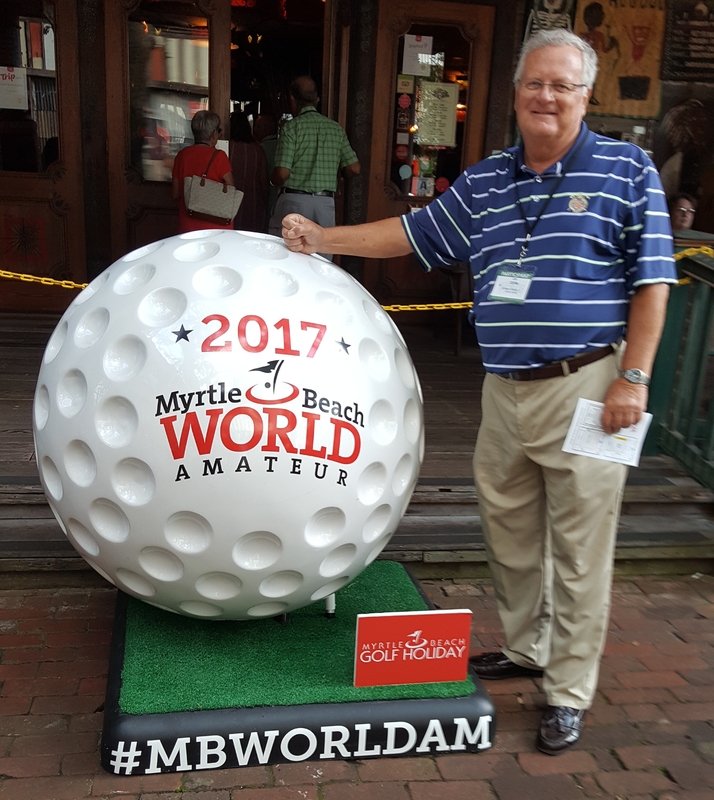 Paul Ciancanelli, of Demotte, Ind., has played in all of the previous 33 World Ams. Only six other golf fanatics have done that, and all were honored at Sunday night’s welcoming party at the local House of Blues. The event has grown steadily over the years, and this year 52 courses will be used for the 72-hole portion involving all the entries. Players will be placed in flights according to gender, age and handicaps. There’ll be 9 a.m. shotgun starts for the first four 18-hole rounds, then the various flight winners will advance to a playoff at The Dye Club course on Sept. 1 to determine the overall champion. I’m quickly coming to realize what a big deal the World Amateur Handicap Championship really is. There’s a welcome reception at the local House of Blues on Aug. 27, the day before the competition begins, and the World’s Largest 19th Hole – a three-hour gathering after each day of play – will be held at the Myrtle Beach Convention Center. 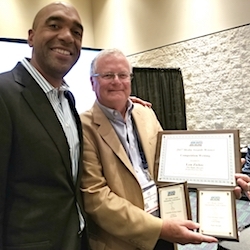 The whole project is a massive undertaking, and this year’s version will be special as it coincides with the 50th anniversary of Myrtle Beach Golf Holiday, the sport’s largest non-profit marketing consortium. Back in 1967 Myrtle Beach was by no means the golf mecca that it is today. It had only nine courses then. Now Myrtle Beach Golf Holiday lists about 90 within the 60-mile Grand Strand from Pawley’s Island to just across the South Carolina state line into Brunswick County, N.C., among its members. The list includes every relevant public course in the area. Seven of the nine original Golf Holiday courses are still around — Pine Lakes, The Dunes Club, Conway Golf Club, Surf Golf & Beach Club, Whispering Pines, Pines Hills course at Myrtlewood and Litchfield Country Club. 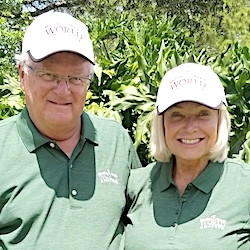 “It’s amazing what those first owners created,’’ said Bill Golden, president of Myrtle Beach Golf Holiday. He joined up 19 years ago after working for Golf Digest magazine and never regretted it. 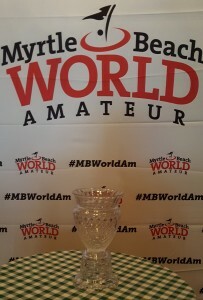 This is the trophy the next World Am champion will receive Friday. But, in Myrtle Beach, it’s still become big business. 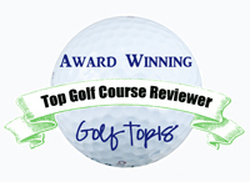 The Myrtle Beach area attracts nearly 1 million golfers every year and Golden reports that the area courses together have 3.3 million rounds annually. That’s a lot of rounds. Myrtle Beach Golf Holiday has a staff of seven headed by Golden, a former collegiate player at Villanova. Four members of the staff focus on tournaments with Jeff Monday directing that group. The World Am is their biggest event but the staff stages six others and helps with some put on by other groups. The Holiday events started as early as February this year, when the Preseason Classic drew 200 players from 22 states. The March Championship has drawn over 70,000 players in its 32-year history. Myrtle Beach Golf Holiday also hosts the Palmetto Championship, the nation’s largest high school tournament, and the Dustin Johnson World Junior, which is played at TPC Myrtle Beach – where the world’s recent No. 1-ranked golfer has many of his trophies on display. First course in the area was Pine Lakes, which opened in 1927 to complement the Ocean Forest Hotel, which catered to that era’s rich and famous. Pine Lakes is celebrating its 90th anniversary in 2017 and it’s also known, for obvious reasons, as The Granddaddy. Of all the Myrtle Beach courses Pine Lakes is the richest in history. The original holes were designed by Robert White, a native of St. Andrews, Scotland, who was also the first president of the PGA of America. The Dunes Club – the second course to open in 1948 — has hosted tournaments on all the major tours as well as many top amateur events. This year it was the site of the U.S. Golf Association Women’s Amateur Four-Ball Championship. Caledonia, True Blue and Tidewater are my personal favorites among Myrtle Beach’s courses, but the area offers an embarrassment of riches for all golfers. Twelve of its courses have been ranked on Golf Digest’s list of America’s 100 Greatest Public Courses and more than half of the Golf Holiday member facilities have been given 4-star or better rankings in that publication’s Best Places to Play Guide.